ASUS today announced a partnership with Oculus™, a leading innovator in virtual reality technology, at the Oculus Connect 2 Developer Conference in Los Angeles. This partnership is aimed at offering gamers truly immersive gaming experiences with the ASUS G11CD and Republic of Gamers (ROG) G20CB gaming desktops and Oculus Rift virtual reality headsets. Both the ASUS G11CD and ROG G20CB are powered by the newly-launched 6th-generation Intel® Core™ processor and feature NVIDIA® GeForce® GTX™ graphics for uncompromised gaming performance. 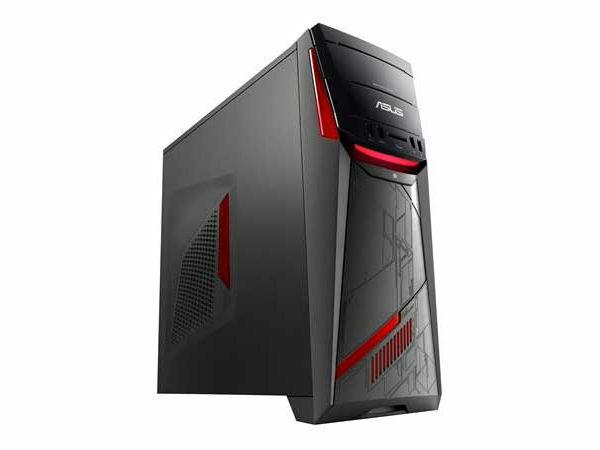 “ASUS is dedicated to giving gamers the fastest and most powerful gaming innovations. With the Oculus-ready ASUS G11 and ROG G20 gaming desktops, we aim to raise gaming experiences to the next level,” said Joe Hsieh, ASUS Corporate Vice President. ASUS G11CD and ROG G20CB are Oculus-ready gaming PCs and will fully support the Oculus Rift virtual reality experience. Users simply need to connect their PCs to the Oculus Rift and download the required drivers prior to use. ASUS G11CD is powered by a 6th-generation Intel Core processor, DDR4 RAM, and an NVIDIA GeForce GTX graphics card. G11CD has an aggressively-designed chassis, with a central LED array on its front façade capable of showcasing light effects with 8 million colors, and three ‘flames’ on its flanks. Aegis II software helps improve the gaming experience, with GameAlive allowing gamers to record and edit gameplay videos to share on social media. ROG G20 is designed to dominate the small-form-factor gaming desktop segment. G20 has a 9.5-liter chassis and is powered by the 6th-gen Intel Core processor and NVIDIA GeForce GTX graphics for WQHD-resolution gaming and home entertainment. ROG G20 sports a bold matte-black finish, aggressive lines, and Mayan-inspired markings. It even has customization LED effects with up to 8 million colors. The G20 has a thermal design that takes advantage of natural heat convection, and has a hidden airflow channel to ensure efficient heat management during marathon gaming sessions. It has been well-received by the industry, winning international accolades like the Computex Best Choice of the Year, Good Design, iF Design and CES Innovation awards. Availability information will be provided later this year. Please contact your local ASUS representative for further information. iOS App Store The Safest? - Not Anymore! ASUS Brings ZenFone Zoom Smartphone to India With 3X Optical Zoom & OIS Technology!